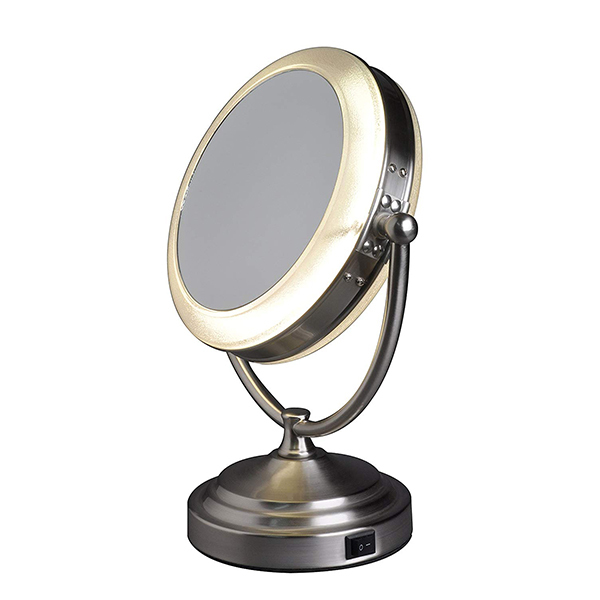 Daylight Cosmetic Mirror - 8x Magnification and 1x Regular. New, bright, glare-free cool lighting. Bulb lasts 1000's of hours and is easily replaced. Adjusts to any viewing angle. Includes mirror and instruction manual. Brushed Nickel.